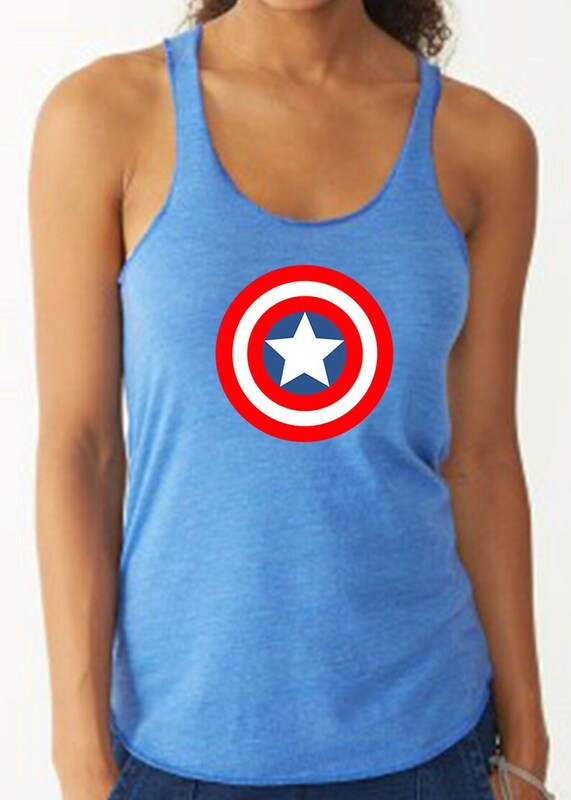 This Captain America Avengers Running Tank is sure to bring out the superhero in you! Crafted from unbelievably soft eco jersey, this racerback with a rounded bottom and raw edge hem, this is sure to become one of your favorite tanks! You are no ordinary runner and this is no ordinary shirt. The emblem is enlarged in the photo. Actual diameter is 3.25 inches.Want this emblem on another shirt? Custom orders are welcome. Just convo me. **I DO NOT sell or claim ownership of these copyrighted and trademarked images and graphics. These graphics and images are NOT being sold. You are paying for time and service to create and personalize these items with your personal information. This is for ONE TIME PERSONAL USE. These images and graphics belong to their respective copyright holders. These items are custom made on a Made-To-Order basis.